Moms and dads, do you have a little one in the home who wants to take music lessons? Music is a wonderful way for children to express their creativity, but before they can express themselves with music, they must first learn the basics of reading music and learning where the keys are on the piano. Piano lessons are wonderful if you can afford them, but if you can’t, there’s no reason to lose hope. You can teach your child yourself by learning together! We have many pieces of free printable music for you to choose from, and each piece is great for beginners and intermediate players. You can print any or all of the songs out to put them right there on your piano. If you have a tablet device, though, you don’t even need to print! Just pull up the printable on your phone, click print, but instead of printing it, save it to your device. Then you’ll have it stored in your pictures so you can access it whenever you like, even if you don’t have your sheet music around! From the simplest tunes of Mary Had a Little Lamb and Rain, Rain, Go Away to more complex pieces like Swan Lake and A Hard Day’s Night, you’ll find plenty of variety here at PrintablesFree.com. We’ve selected music from a variety of genres and skill levels to ensure that there’s something here for everyone. And we don’t just put our sheet music on bland white paper, either. 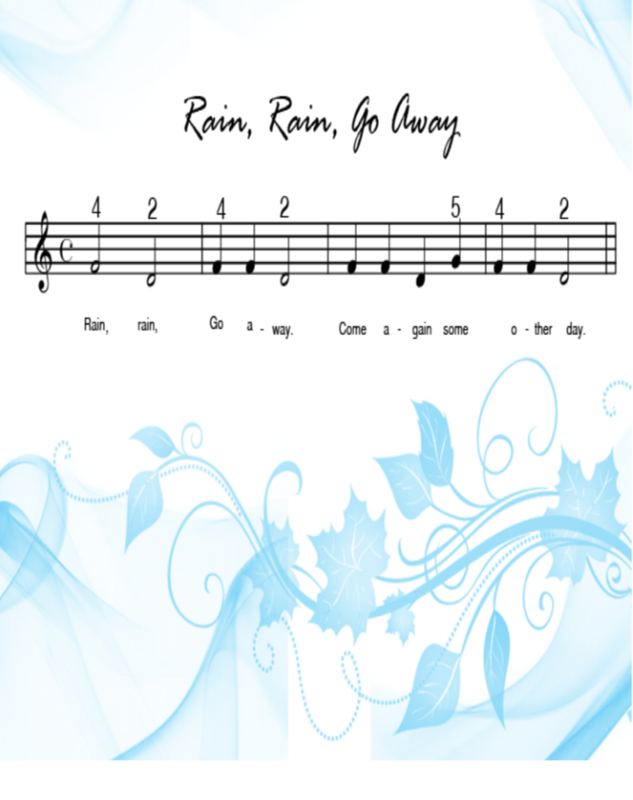 Like all of our printables, our free printable piano sheet music draws the eye with bright, bold designs. Each one is unique. If you don’t like the decorative borders, though, you can always use our customization tool to crop off the colored edges. Then, use the “Fit to Page” button to expand the music to fill the page, and there you go! You can further personalize each piece of music by typing your name, the date you printed it out or any special notes that you want to make on the page. These customizations can also be saved to your computer or shared with your social networks. As with all things, when you begin to learn the piano, you must start with the most basic concepts, and that means reading music. It’s easier than you might think, especially if you start out with very simple songs. The easiest way to get started is by using the concepts that your music teachers have taught you. The lines on the Treble scale are: E, G, B, D, F from bottom to top. To remember these letters, you only have to remember, “Every Good Boy Does Fine.” The spaces between the lines are F, A, C, E and can simply be remembered as “FACE.” The printable piano music Rain, Rain, Go Away is the perfect starter song because it only involves three notes: F, D, and G. Label your piano keys, and you’re ready to master this simple, yet catchy song!